Note :List will be updated from time to time . Oh that's cool; are the episodes still available? Hmm looks like they may have been deleted? CB is still around so we can ask him :3. @nm___i3bfc Hi. As I am the original uploader for those episodes, I must apologize for having them taken down. Currently, I have found the first season in Chinese Mandarin (the site doesn't allow them to be downloaded ) and a friend has all episodes in Taiwanese. Contact me if you're still interested. Ah, should I send a private message? Hahaha , I can't believe it, but I actually like the voicing a bit! It almost makes me kind of disappointed that only the first two seasons were dubbed. That Artemis voice in season 2 matches the character pretty well, almost exactly like one would expect from the worried cat , and Rei is also pretty nice. Oh! Interesting that the Mandarin version was only 2 seasons while the Cantonese (for Hong Kong) was all five! 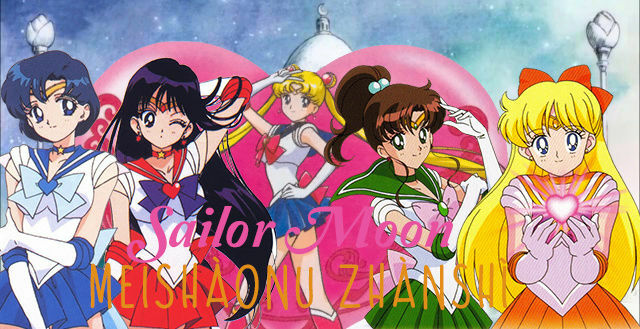 Well comrades, I found an uploaded version of the first two seasons in Chinese, and downloaded and reuploaded the Black Moon Arc of the Sailor Moon R.
I'll try my best to keep it online as long as I can! Thanks to http://ysyycv.com/aboutus.html for the encoded files of the anime! Thank you!!! I'll update the first post as soon as I'll be able to. Uploading the first season also! Same credits and voicing (well kind of). The torrent is also provided for the first season, although downloading from it may be a bit difficult. I couldn't get the files from that distribution. There's another torrent with the files in MKV container format for season 2 I think; it's not uploaded in these folders yet, but if anyone downloads the torrent and files may I please ask if we could include them? I'm curious as to whether they may be soft-subbed, or different in some other way from these video files. I love watching other language versions of the 90s anime! I know this thread is old, but I've had a question that's been on my mind for a while. How are these rare? Is it because they're hard to find? Didn't China get re-releases of the episodes? They're not that rare, but not the easiest to download. There probably was a rerelease of the Liaoyi dub of the anime, but that was probably a while ago and it's kind of hard to see where you can get those (if anyone with more patience better or Chinese skills than me can find it, please post to the thread ). There's a streaming version of the anime with the Liaoyi dub also for the first two seasons, but that seems to be a modified version that overlays pieces of audio and video together from the Japanese and Chinese versions. Oh I forgot!! I have season 5 on my hard drive (I guess from the Hong Kong version)... Will have to try to dig it out when I'm next on my PC! Your earlier comment about a torrent reminded me of it lol. Well TIL I am stupid; I forgot to enable downloads for the uploaded files. They should be downloadable now.